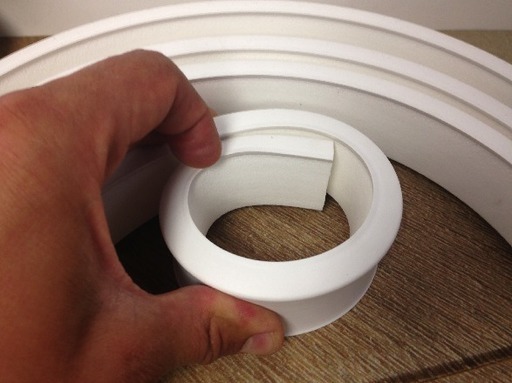 Flexible and paintable foamed PVC - "Skirting in a box", 7 m, 40mm x 14 mm. Easy to cut at length, easy to miter with a cutter knife. 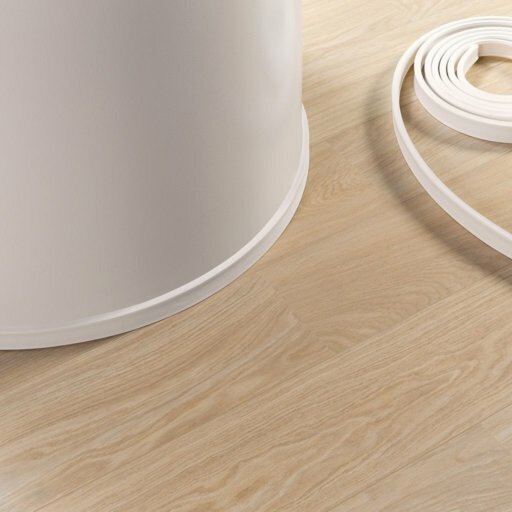 Gluing: use rubber-based construction adhesive with high or contact glue for ease of work, apply the glue on the walls in lines, not on the skirting in case of rubber-based construction adhesive: use transfer method. Pressure after installing until the glue is completely dry.